Kiddy is raising the standards for child safety and health in infant carriers. 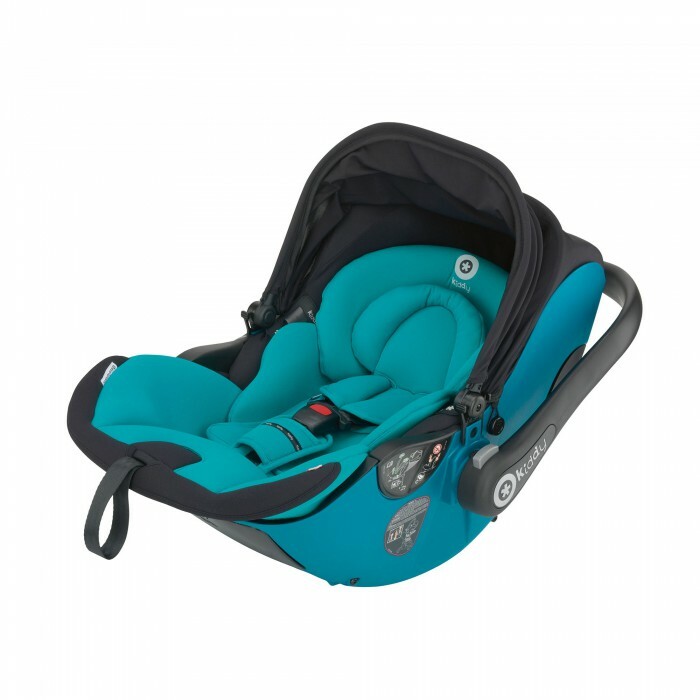 Using the Kiddy ISOFIX Base 2, which is included in the box, the Evo-lunafix from Kiddy can be moved into an ergonomic lie-flat position during travel by car; or when in use on a pushchair chassis; or simply whilst your baby sleeps comfortably next to you. A lie-flat position is the healthiest way for a baby to travel. Babies should be laid in as flat a position as possible, especially soon after their birth. Lying flat prevents the baby’s undeveloped neck from flopping forwards and restricting air flow, when the baby relaxes or falls asleep. This can happen in a conventional upright infant carrier. Newborn babies have a particularly sensitive spine and the curved position caused by conventional infant carriers can put great strain on their still soft bones and back. 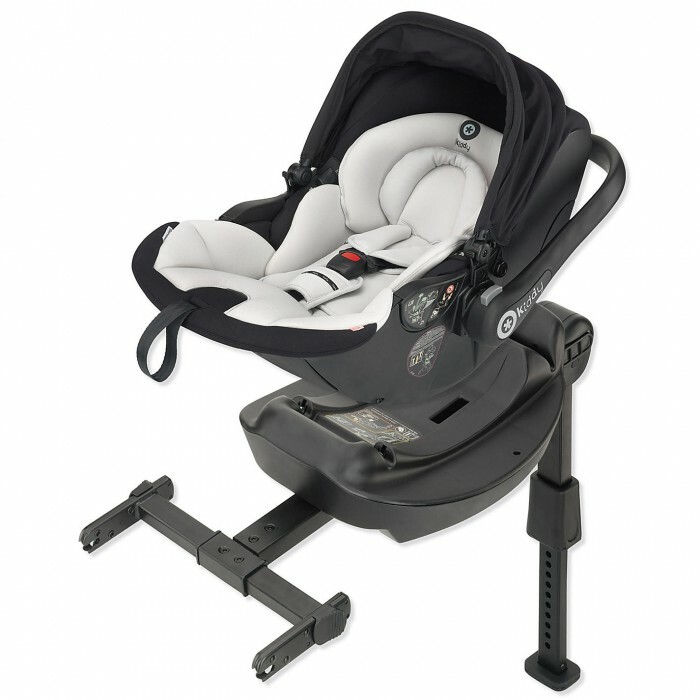 The optimal ergonomic support offered by the Evo-lunafix ensures that this car seat gives your baby maximum body support. These benefits of lie-flat for an infant has been confirmed by numerous midwives and paediatricians. The Kiddy Evo-lunafix has also been approved by experts from the AGR (Aktion Gesunder Rücken e.V.) who certify and recommend products which promote healthy back and spine development. 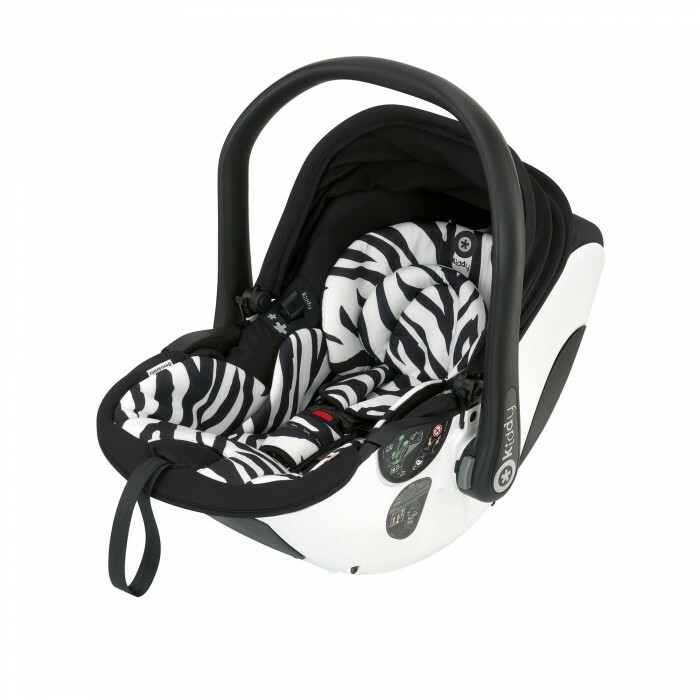 The Kiddy Evo-lunafix is also a cosy and protective seat for a newborn baby. The infant support, keeps your little one’s head in the correct position for travel. The three point harness has padded shoulder and crotch pads to keep your baby comfortable. The large hood keeps the wind and sun off your child, whilst they relax inside the sturdy shell. The underlying slatted base allows for good air flow around the baby. This will help regulate their body temperature on hot and cold days. A comfy, healthy, happy baby makes for contented parents!